There is still controversy in the literature whether a single episode of mild traumatic brain injury (MTBI) results in short-term functional and/or structural deficits as well as any induced long-term residual effects. With the inability of traditional structural brain imaging techniques to accurately diagnosis MTBI, there is hope that more advanced applications like functional magnetic resonance imaging (fMRI) and diffusion tensor imaging (DTI) will be more specific in diagnosing MTBI. 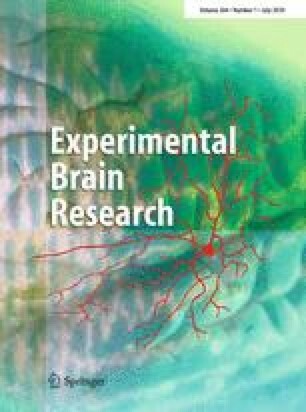 In this study, 15 subjects who have recently suffered from sport-related MTBI and 15 age-matched normal controls underwent both fMRI and DTI to investigate the possibility of traumatic axonal injury associated with functional deficits in recently concussed but asymptomatic individuals. There are several findings of interest. First, MTBI subjects had a more disperse brain activation pattern with additional increases in activity outside of the shared regions of interest (ROIs) as revealed by FMRI blood oxygen level–dependent (BOLD) signals. The MTBI group had additional activation in the left dorsal-lateral prefrontal cortex during encoding phase of spatial navigation working memory task that was not observed in normal controls. Second, neither whole-brain analysis nor ROI analysis showed significant alteration of white matter (WM) integrity in MTBI subjects as evidenced by fractional anisotropy FA (DTI) data. It should be noted, however, there was a larger variability of fractional anisotropy (FA) in the genu, and body of the corpus callosum in MTB subjects. Moreover, we observed decreased diffusivity as evidenced by apparent diffusion coefficient (ADC) at both left and right dorsolateral prefrontal cortex (DL-PFC) in MTBI subjects (P < 0.001). There was also a positive correlation (P < 0.05) between ADC and % change of fMRI BOLD signals at DL-PFC in MTBI subjects, but not in normal controls. Despite these differences we conclude that overall, no consistent findings across advanced brain imaging techniques (fMRI and DTI) were observed. Whether the lack of consistency across research techniques (fMRI & DTI) is due to time frame of scanning, unique nature of MTBI and/or technological issues involved in FA and Apparent Diffusion Coefficient (ADC) quantification is yet to be determined. This study was supported by NIH Grant RO1 NS056227-01A2 “Identification of Athletes at Risk for Traumatic Brain Injury” awarded to Dr. Slobounov, PI.